produced by Embraer, a Brazilian aerospace company. Family members include the ERJ 135 (37 passengers), ERJ 140 (44 passengers), and ERJ 145 (50 passengers), as well as the Legacy business jet and the R-99 family of military aircraft. 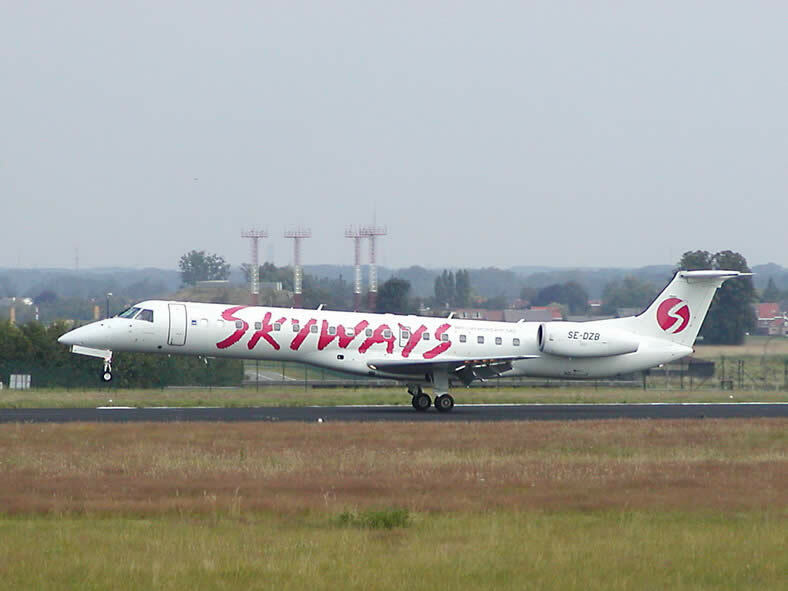 The ERJ 145 is the largest of the group. Each jet in the series is powered by two turbofan engines. 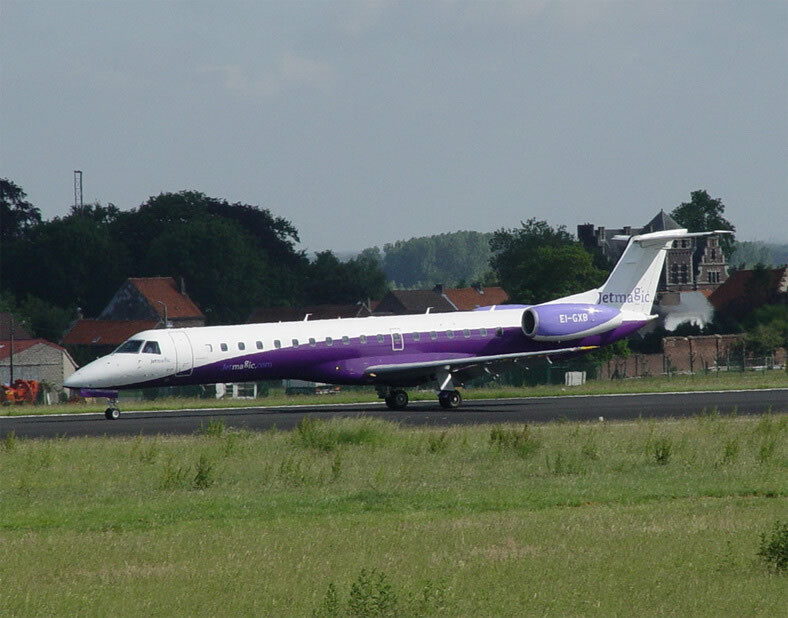 The family's primary competition comes from the Bombardier CRJ regional jets. The key features of the erj 145 included: Rear fuselage-mounted engines, Swept wings (no winglets), "T"-tail configuration, Range of 2500 km. The first design was intended to retain as much commonality as possible with the EMB 120. However, the aircraft has sold well thus overcoming the initial setbacks. Embraer delivered 892 units of all variants through 2006, and predicted that another 102 units would be delivered in the 2007-2016 time period. 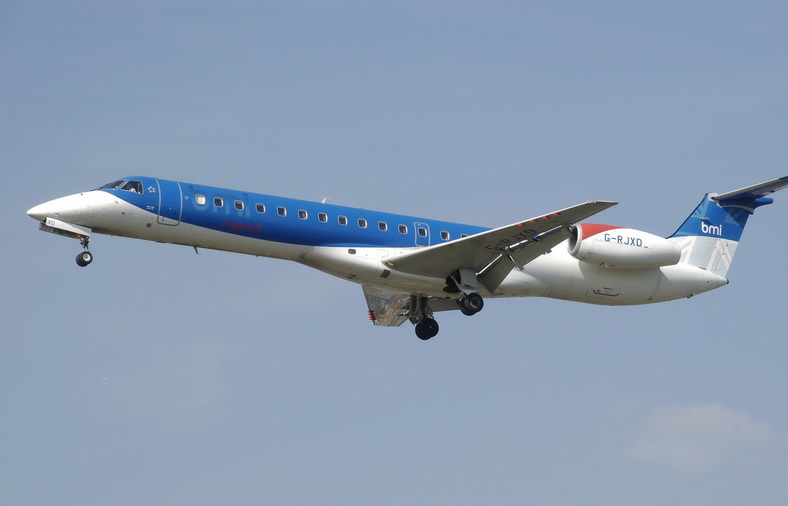 The ERJ 140 is based on the ERJ 145 with 96% parts commonality and the same crew type rating. The only significant changes are a shorter fuselage, a slightly derated engine and an increased range. At launch, Embraer estimated the cost of an ERJ 140 to be approximately US $15.2 million. The estimated cost of development of the ERJ 140 was US $45 million. The ERJ 135, with a service entry date of 1999, has 95% parts commonality with the ERJ 145, but is 11.7 feet (3.6 m) shorter. The ERJ 145 seats 50 passengers, the ERJ 140 seats 44, and the ERJ 135 seats 37. The ERJ 140 was designed with fewer seats in order to meet the needs of some major United States airlines, which have an agreement with the pilots union as to the number of 50-seat aircraft that can be operated in their mixed fleets. The Major airline agreed with their pilots' union to limit the number of jets flown by their affiliates. One of the limits was a restriction of the number of planes with 45 seats or more. The first flight of the ERJ 145 was on August 11, 1995, with the first delivery in December 1996 to ExpressJet Airlines (then the regional division of Continental Airlines). ExpressJet is the largest operator of the ERJ 145, with 270 of the nearly 1000 ERJ 145s in service. The second largest operator is American Eagle, with 206 ERJ 145 aircraft. Chautauqua Airlines also operates 95 ERJ 145s through its alliances with American Connection, Delta Connection, US Airways Express, and United Express. In March 2007 Express Jet entered into a short-term agreement to operate some regional routes for JetBlue Airways using its ERJ 145 aircraft. ERJ 135LR - Long Range - increased fuel capacity and upgraded engines. ERJ 140LR - Long Range (increased fuel capacity (5187 kg) and upgraded engines. ERJ 145STD - The baseline original, seating for a total of 50 passengers. ERJ 145LR - Long Range - increased fuel capacity (5187 kg) and upgraded engines. 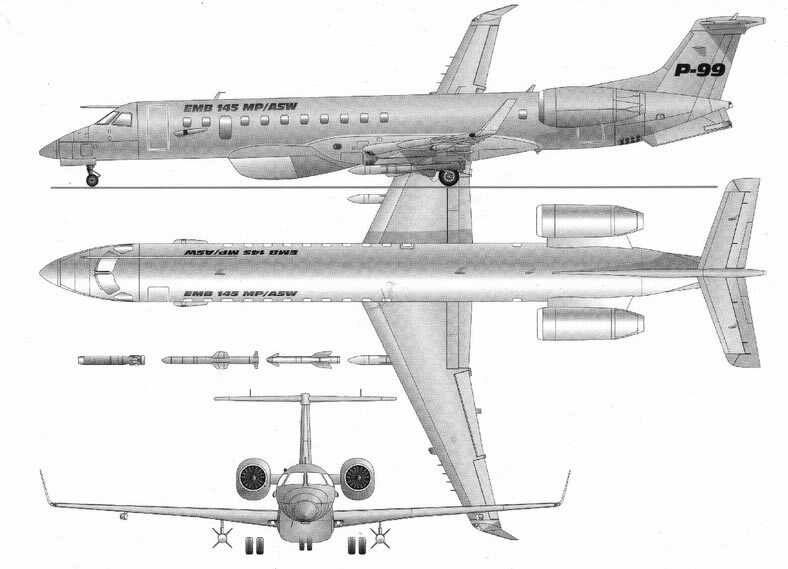 ERJ 145XR - Extra-long Range (numerous aerodynamic improvements, including winglets, strakes, etc. for lower cruise-configuration drag, a ventral fuel tank, increased weight capacity, higher top speed and more powerful engines. Legacy 600 - Business jet variant based on the ERJ 135. The extended range version, the ERJ 145ER, has Rolls Royce AE 3007A engines rated at 31.3 kN (7036 lb) thrust, with the option of more powerful AE 3007A1 engines. A, A1, A1P models are mechanically identical but differ in thrust due to variations in FADEC software. The A1E engine, however, has not only new software, but significantly upgraded mechanical components. 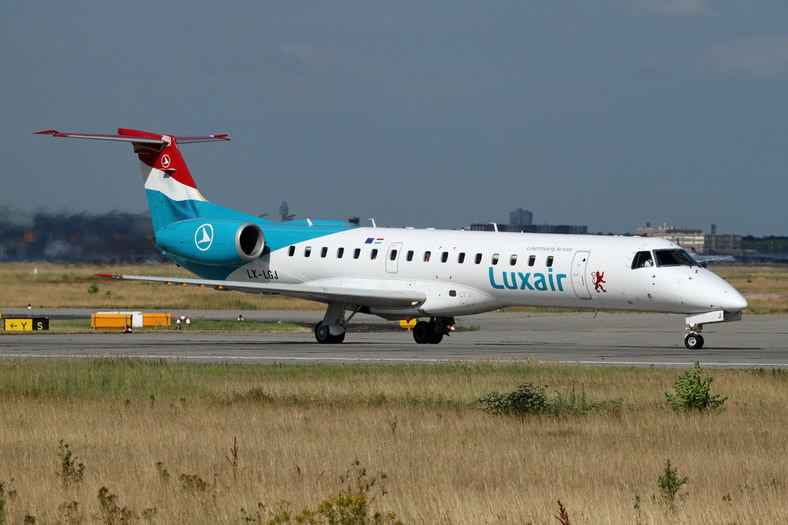 The long-range ERJ 145LR aircraft is equipped with Rolls Royce AE 3007A1 engines which provide 15% more power. The engines are flat rated at 33.1 kN (7440 lb) thrust to provide improved climb characteristics and improved cruise performance in high ambient temperatures. The extra-long-range ERJ 145XR aircraft is equipped with Rolls-Royce AE 3007A1E engines. The high performance engines provide lower specific fuel consumption (SFC) and improved performance in hot and high conditions. The engines also yield a higher altitude for one-engine-inoperable conditions. 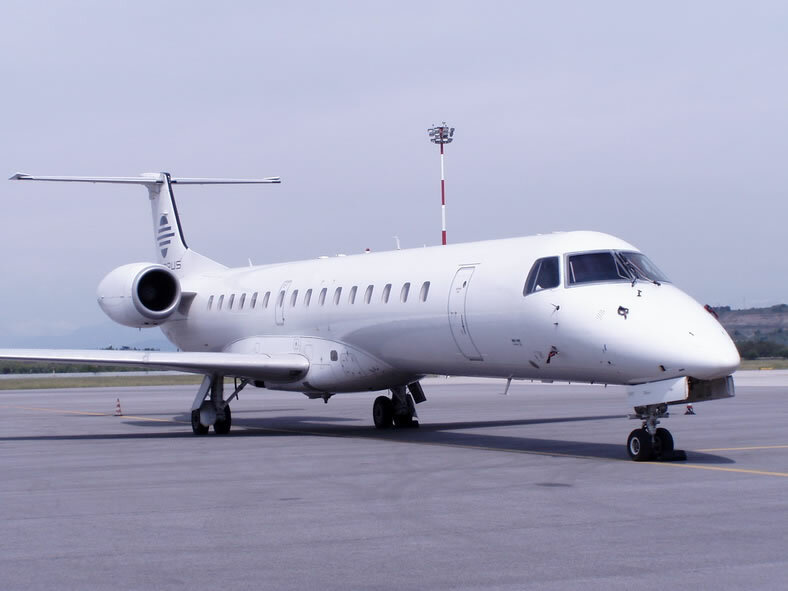 ExpressJet is the sole operator of the ERJ 145XR. February 2011 Embraer presented its new EMB-145 AEW&C for India. In May 2011 a total of 990 ERJ 135/140/145 remain in service, with 5 further firm orders. 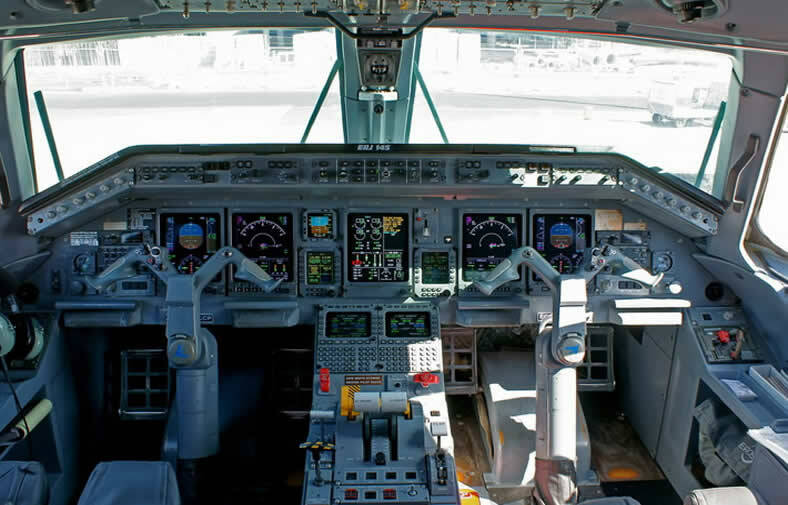 The ERJ 145 family of aircraft has no reported crashes or fatalities due to mechanical malfunction in over 15 million hours (as of June 2009) of flight time for the fleet. On February 11, 1998 a Continental Express, now United Express, ERJ 145ER tail number N14931 crashed in Beaumont, Texas on takeoff during a training flight. NTSB reports that after the incorrect application of rudder during a V1 cut maneuver, the left wing stalled. The aircraft was damaged beyond repair. On December 28, 1998, a Rio-Sul pilot descended beyond the normal rates and landed at a speed significantly higher than the normal landing speed. The aircraft tail section cracked and was dragged along the runway. The airplane involved was PT-SPE, an ERJ 145ER and this happened at Afonso Pena Airport, in Curitiba, Brazil. The airplane was damaged beyond economical repair. On September 29, 2006, an ExcelAire Embraer Legacy EMB 135BJ, Civil Registration N600XL, collided with Gol Transportes Aéreos Flight 1907, a Boeing 737-800, while flying over the northern state of Mato Grosso en route to Manaus from São José dos Campos. The Legacy made an emergency landing at a military airstrip at Cachimbo, Pará, Brazil, with minor damages and with its 5 passengers and 2 crew members uninjured. The Gol 737 crashed in the Amazon forest east of Peixoto de Azevedo, killing all 148 passengers and 6 crew members. On 7 December 2009, an Embraer ERJ 135 operated by South African Airlink (registration: ZS-SJW) on a scheduled flight SA-8625 from Cape Town, overshot the runway when trying to land in wet weather at George Airport; no fatalities were reported. It was determined that the aircraft touched down in the area of the fourth landing marker. According to the air traffic controller (ATC) on duty at the time, the landing appeared normal, however the aircraft did not vacate the runway but instead veered to the right and went past the ILS localizer. The aircraft collided with eleven approach lights before it burst through the aerodrome perimeter fence coming to rest in a nose-down attitude on a public road. The preliminary investigation showed the tyres did display some evidence of aquaplaning. The plane was damaged beyond economical repair. On August 25, 2010, an ERJ 145 operated by Passaredo, crashed on approach to Vitória da Conquista. The plane landed short of the runway and the crew lost control, resulting in the aircraft sustaining severe damage before coming to a stop away from the runway. Two of the 27 people on board were injured. The airline said the plane was unable to lower landing gear, although observers said the landing gear was lowered while the aircraft was landing. 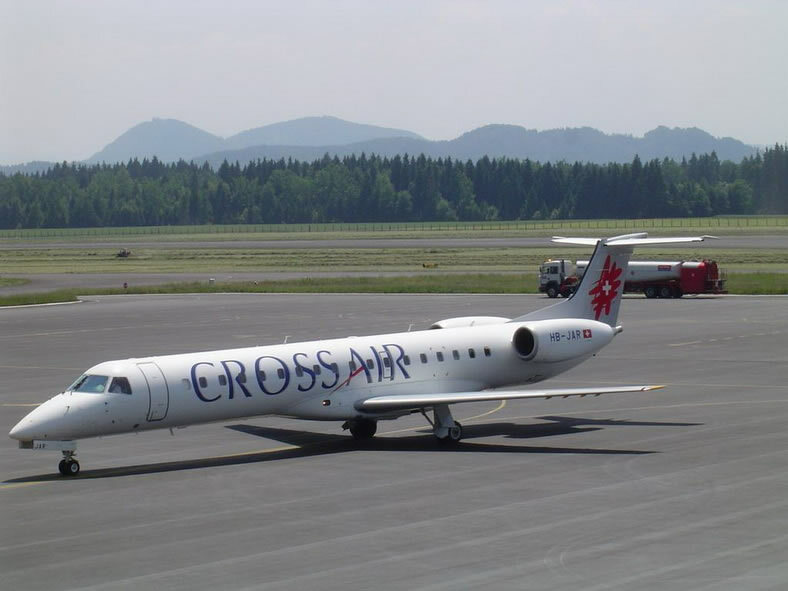 On September 4, 2011, a United Express Embraer 145 slid off the runway upon landing at Ottawa Macdonald-Cartier International in Ottawa, Canada. All 44 passengers aboard were uninjured. The plane sustained substantial damage to its gear and wing on the righthand side. The plane was damaged beyond economic repair.